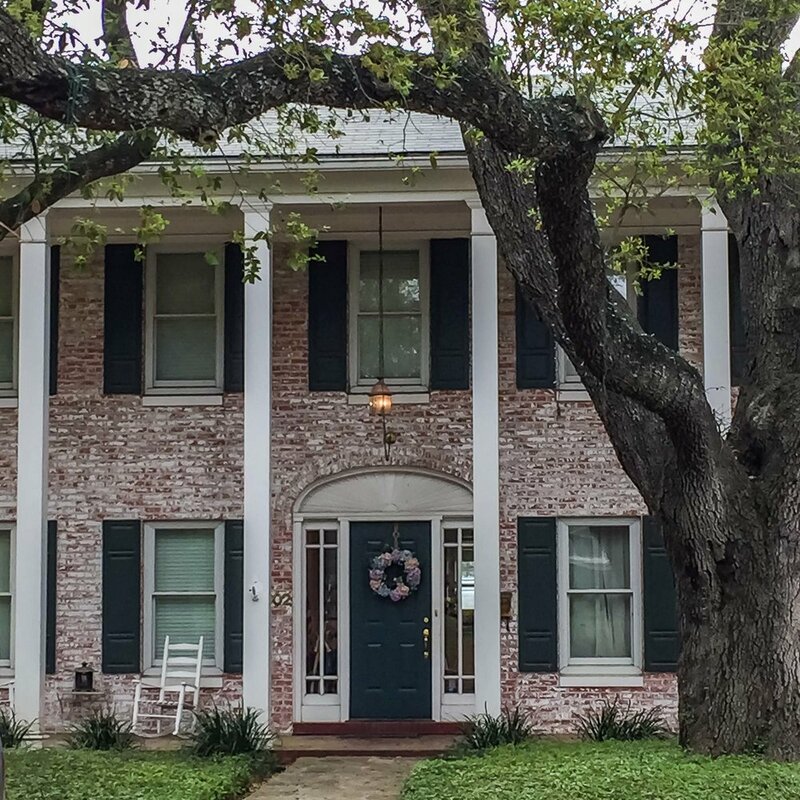 We moved into the fantastic Alamo Heights historic neighborhood on March 20 for a week-long stay at an Airbnb home. This is one of my all-time favorite neighborhood stays (dates back to 1890). 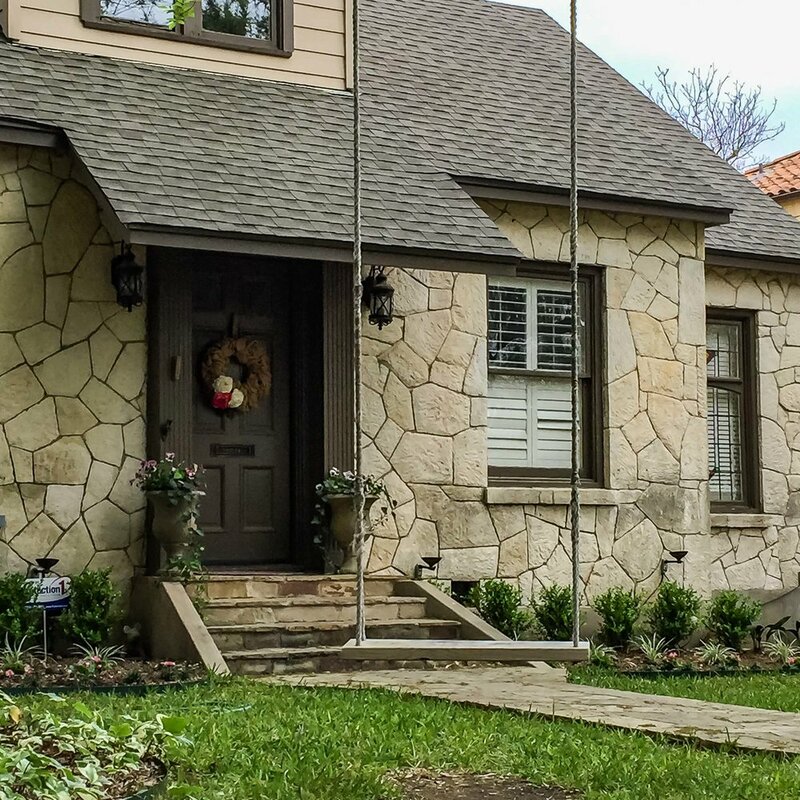 Charming tree-lined streets, and diversity in home styles (from Spanish Revival to Arts and Crafts, Mediterranean manors, colonial, stone cottages, and brick homes of tan, pink, and grey) made for a wonderful place to walk/run around. Even with the heat and humidity, the trees kept the sidewalks nice and shady. 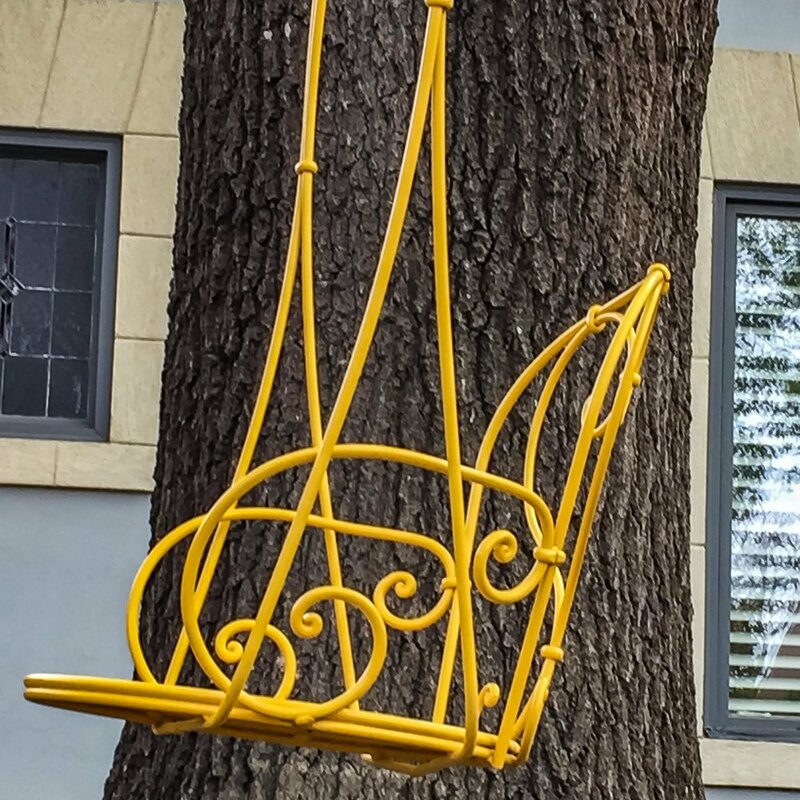 Alamo Mission – smack dab in downtown San Antonio. Prior to going to the site of the Alamo Mission, we watched a 40-minute IMAX movie depicting the famous battle at Rivercenter Mall across from the Mission. 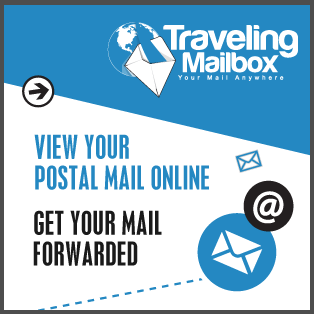 That was helpful in setting the tone and allowed us to move around the site without having to deal with all the tourists trying to figure things out. 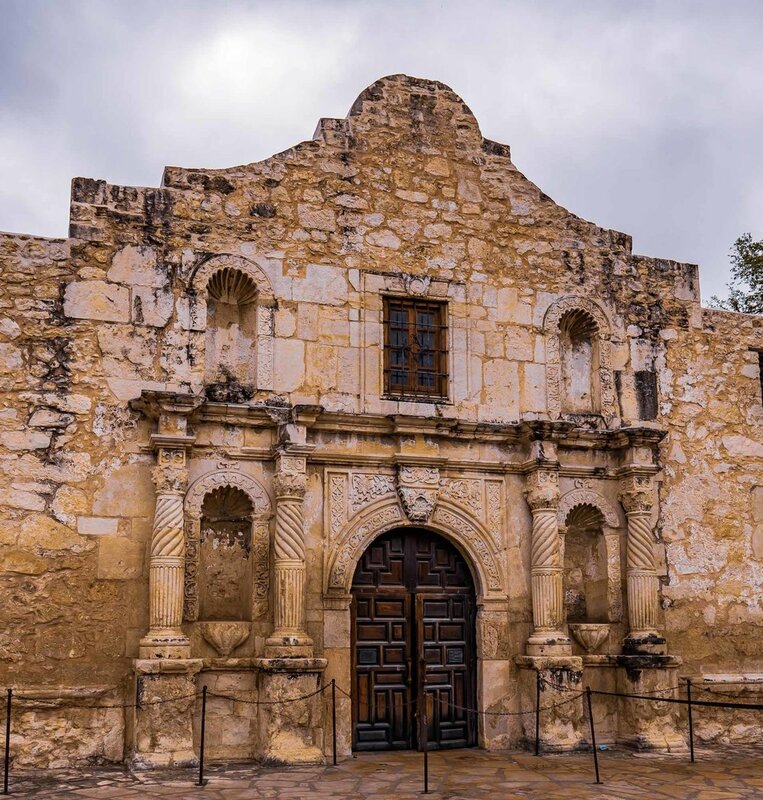 The Alamo Mission has over 300 years of history: 1718-1835 mission to fortress, 1835-1836 fortress to battlefield during the Texas Revolution to present day. 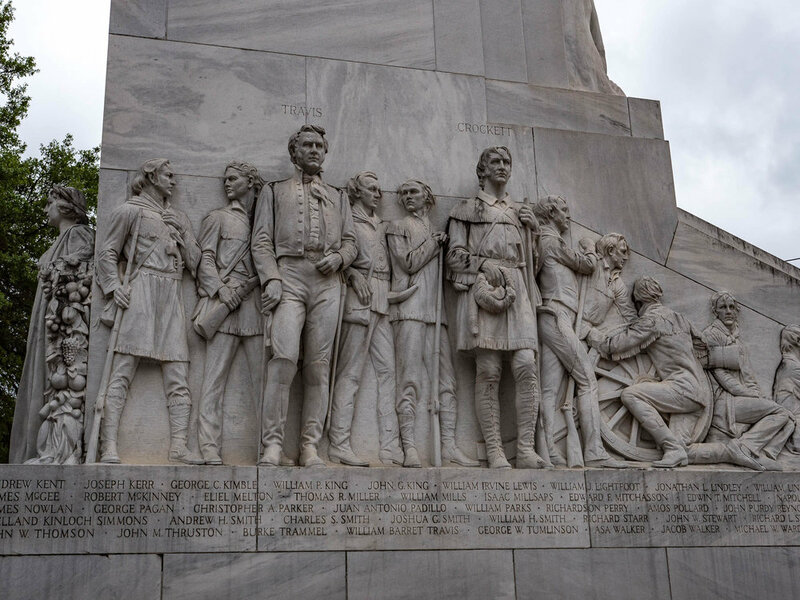 What we didn’t know prior to this stop was how much the 12-day siege meant to Texas history. 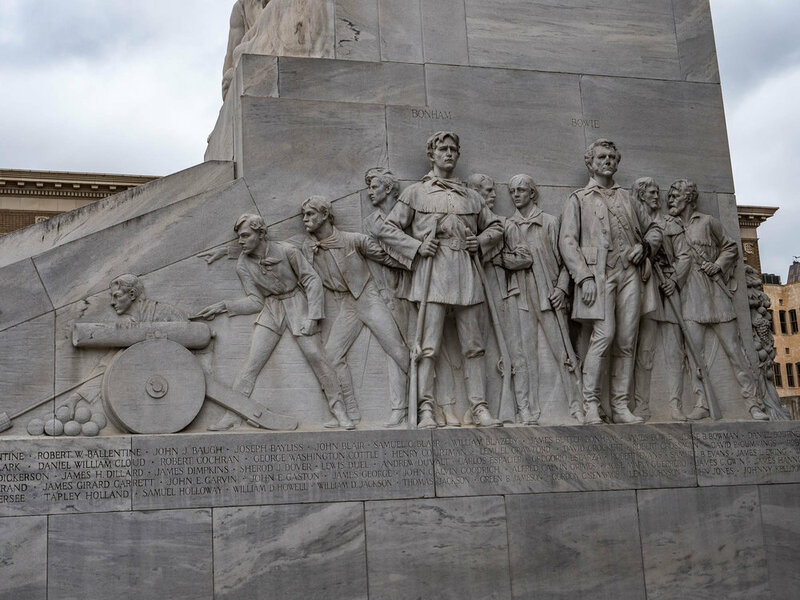 Approximately 200 Texians (correct spelling) fought Mexican President/General Santa Anna and his troops of around 1500 to hold the Alamo fortress and help break the province of Texas away from Mexico. They did this knowing they would more than likely not survive but fought to the bitter end. What happened at the Alamo really pissed the Texians off! About 3 weeks later General Sam Houston led his men to a surprise attack and victory in the battle of San Jacinto with his men shouting, Remember the Alamo! 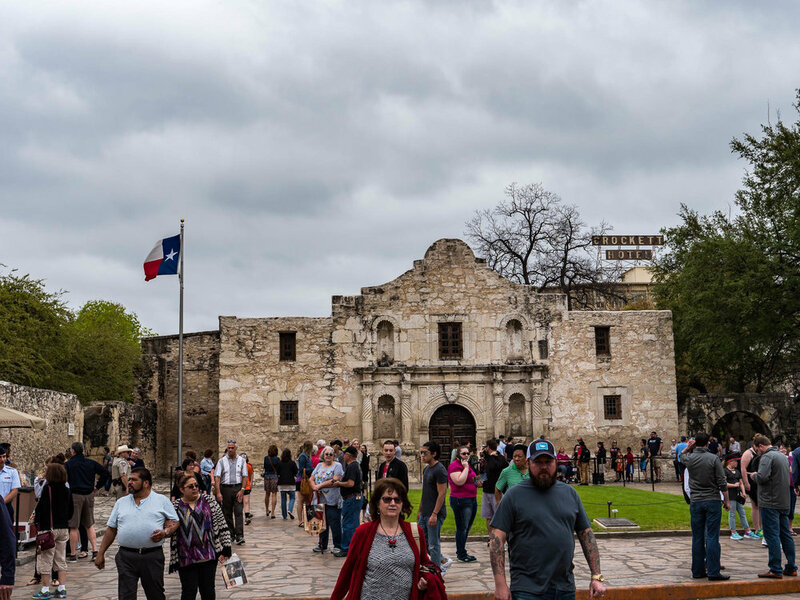 The Alamo led to the formation of the Republic of Texas, and about 10 years later Texas was annexed by the US, and that’s your history lesson for today. 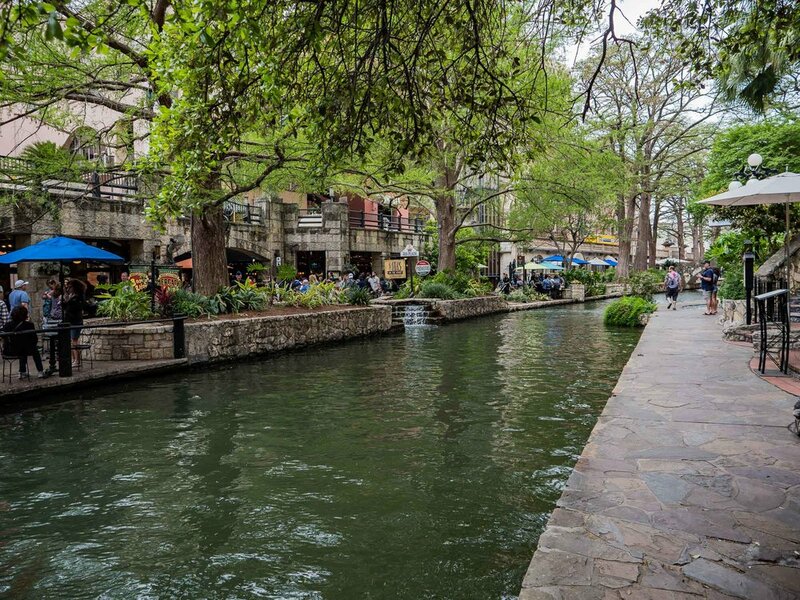 As you might guess, we’re not people who hang around malls, but we wanted to see what the River Walk (15 miles) was all about. 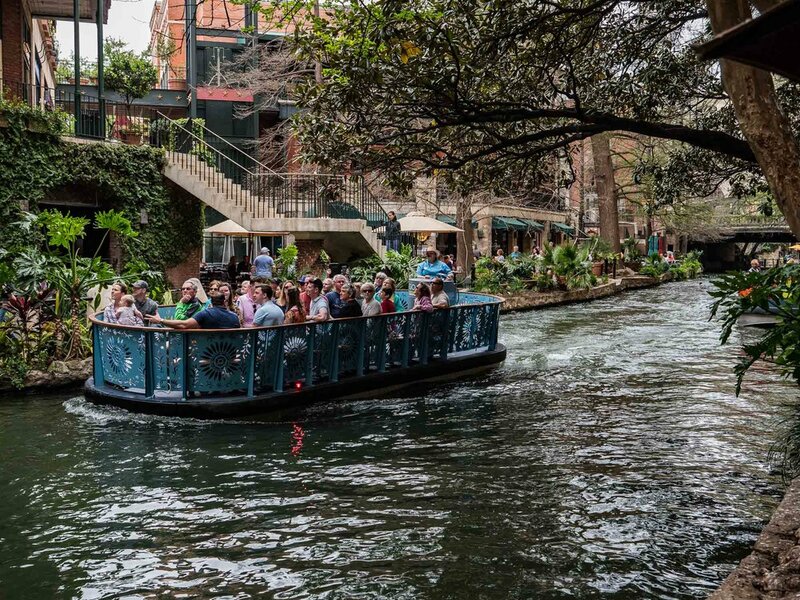 In the mall area there are narrow walkways with restaurants along 5 miles that curve around the water – not unlike a fancy food court. Once you get away from the mall there’s more open bikeways/walkways along the San Antonio River. Speaking of bikes, Dennis managed to ride numerous trails and find a little dirt. When he can do that, he’s a happy boy. 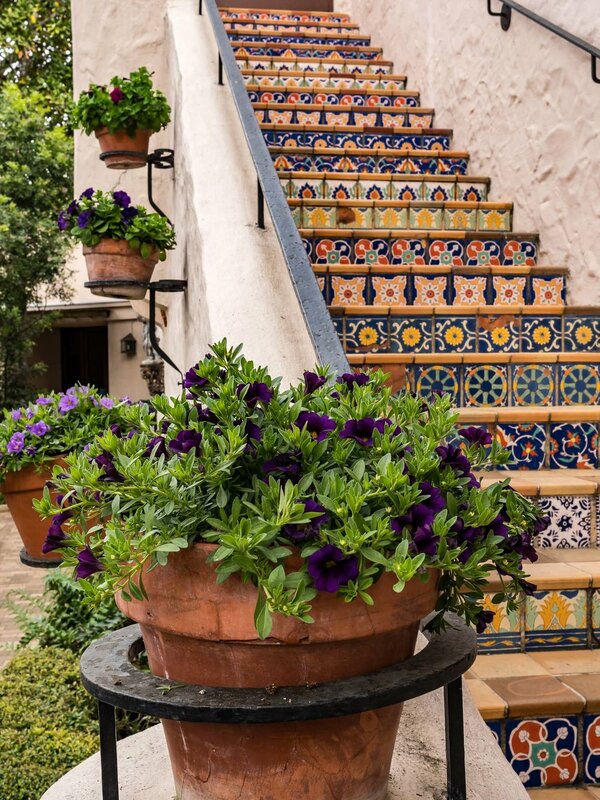 McNay Art Museum - A Spanish Colonial Revival Residence built in the late 1920s and a museum since the 1950s. It houses a fine collection of modern masters. Some of the best we’ve seen in one location. The building is absolutely a joy to walk around and the outside 23 acres of gardens are beautiful. When D came home from a bike ride, he mentioned that the nearby McNay was open that evening for free. We spent a lovely impromptu evening just 5 minutes from our home! There was also a one-hour Spanish inspired concert (a bit of piano, classical guitar, violin and opera) in the museum auditorium available to us. 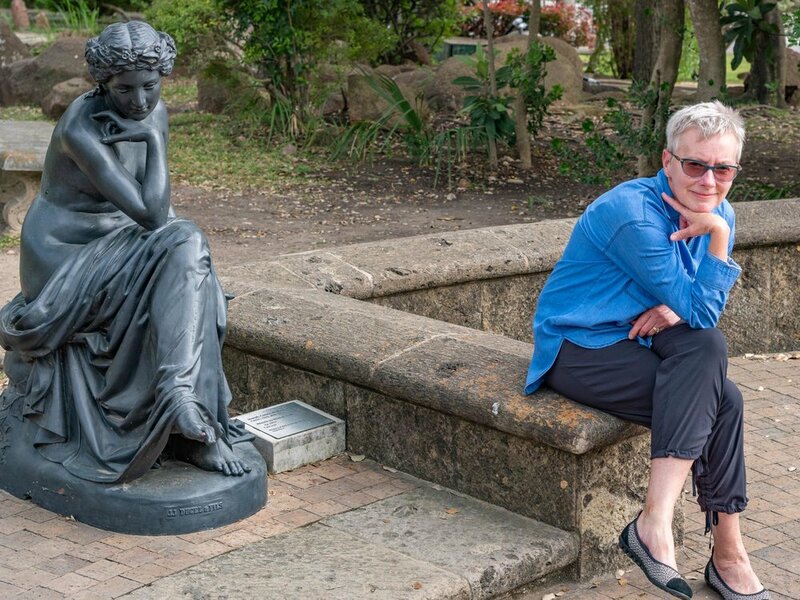 As the McNay states: They approach their collection in an entirely different and non-traditional way, looking for timeless themes to create the gallery installations. This new approach brings together works of art from across disciplines, movements, and eras to create exciting and provocative juxtapositions. I loved this non-traditional way as it added more interest and a bit of humor to each gallery theme. 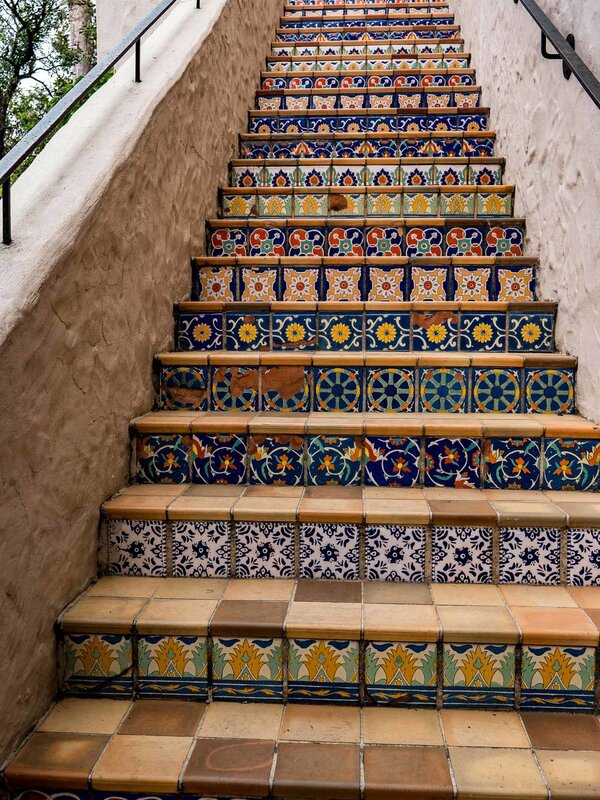 I’d come back to San Antonio just to see what the McNay had going on and of course stay in the Alamo Heights neighborhood. It was time to git along little doggie because the Final Four Basketball Tournament was heading to San Antonio. We both enjoyed this stop and will long remember our Alamo stay.